Well..just fantastic to drive with plenty of power in this 2 l new petrol 2019 engine. I am glad I ordered the smaller petrol engine as I was nearly going for the S but changed my mind . Do not hesitate about the 2 l it has plenty of power and amazing torque too. Jet black metalic suits well too. Cannot compare to the S as I did not drive one but my 2 l is just fantastic and powerful and I do not need more power! Glad you are happy with your choice. 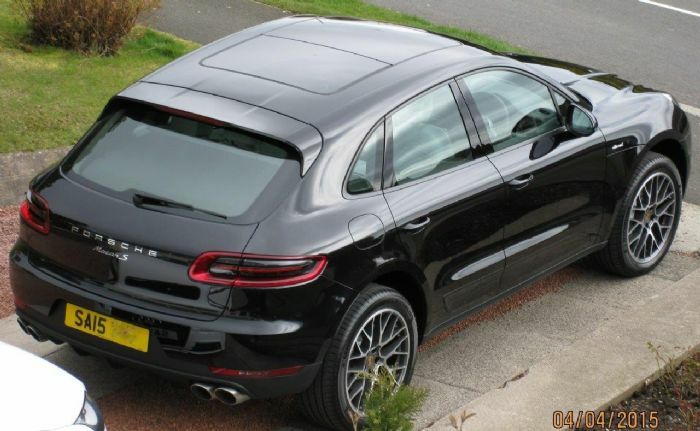 It depends where you are coming from in the 20 v S engine stakes so I do not really see how you can make the comparison if you have not driven an S.
The Macan is a large heavy car for a 2.0 to haul around yes it does it, but it is harder work than it is with the more powerful engined variants. My macan is due May bank holiday, not long now yay! Sooooo any pics of your new ride? You will be very happy with the 2l...it’s a Gem. Last edited by Paul on Sun Apr 14, 2019 10:01 pm, edited 1 time in total. I can't quite believe I'm getting one! !